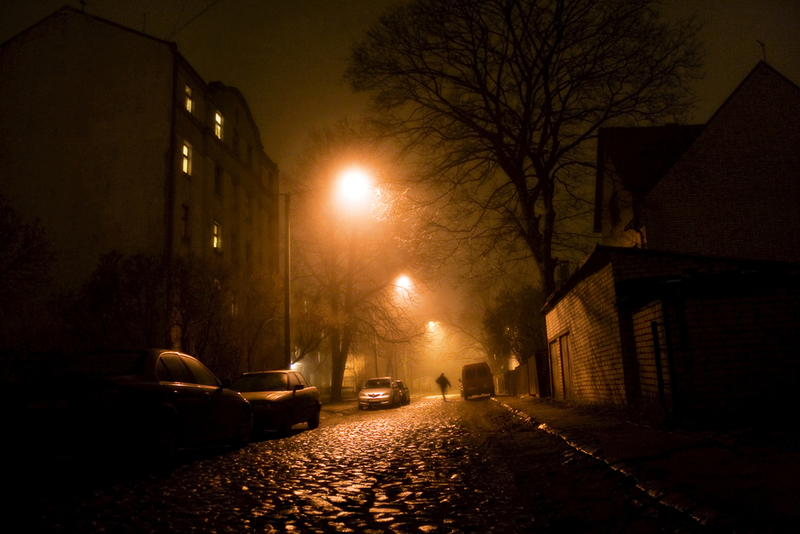 Your street is never scarier than when you are locked out at night. The only thing worse than being locked out of your house is being locked out in the middle of the night. It’s dark, cold, and maybe even scary. You’ve been out all day and half the night, and now all you want to do is crawl into your cozy bed and watch Netflix. Unfortunately, the universe has other plans for you. The good news is, even if you’re locked out in the dead of night, you still have plenty of options. Rest assured, the chances that you’ll end up defeated, sleeping outside your house in your vehicle are very slim. The obvious thing to do is call a 24-hour locksmith near you, but that can be pricey, and you might have better options; let’s think them through. Rack your brain. Is there a chance that you have a spare key hidden somewhere to bail you out of an emergency like this? If so, hoorah! Great job thinking ahead, and sweet dreams. Another place you may have stashed a spare key is with a friend, family member or neighbor. If one of these people has a copy of your key (ya know, in case of emergencies), now might be a good time to wake them up. Lastly, if you are lucky enough to have saved a digital copy of your key with KeyMe, all you have to do is head to a kiosk. 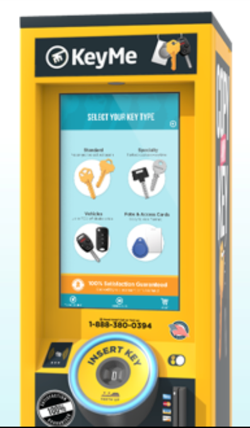 You can access your spare key using our self-service kiosks (available inside many major retailers–search for one here). Additionally, if the keeper of your spare key happens to live far away or is otherwise unable to meet up with you in the middle of the night, have them download the KeyMe app. They can take a picture of your key and share it with you. You can then head to a kiosk and cut a spare. If you have a good relationship with your landlord, now might be a good time to call in a favor. Yes, he or she is probably sleeping, but landlords are people too; surely none of them want their tenants trapped outside in the middle of the night. Consider calling your landlord and asking him to let you in. Keep in mind, some landlords charge a fee for the inconvenience of doing something like this outside of business hours, but it’s likely less than what you’d pay for a 24-hour locksmith. If you go this route, be sure to reward your landlord with a thoughtful gift or gesture of appreciation — it’s always best to stay on his good books. Even if they don’t have your spare key, they’ll likely let you crash for the night and help you deal with the lockout issue in the morning. Unfortunately, in some cases crashing with someone isn’t a viable option. Maybe you don’t have friends or family nearby, or perhaps you have a hungry pet at home that desperately needs your attention. In instances like this, a locksmith may be the way go. Find our self-service key copying kiosks in retailers like Bed Bath & Beyond, Rite Aid and 7-Eleven. Calling a 24-hour locksmith is an obvious solution to being locked out. They’ll likely have you back in your home in less than an hour. If time is of the essence, this is a great option, but it may come at a price. Some 24-hour locksmiths will charge extra fees for work done after hours, while others don’t. Be sure to ask for a quote up front. Locksmiths typically charge based on the scope of work, so if you have a complex lock, the price may be higher. KeyMe is dedicated to preventing lockouts by making it simple and cost-effective to copy your keys. You can store virtual copies of your keys by snapping a photo of them with the KeyMe app. Then, if you find yourself in need of a spare copy, all you need to do is locate the nearest KeyMe kiosk and print a copy using nothing more than your fingerprint.